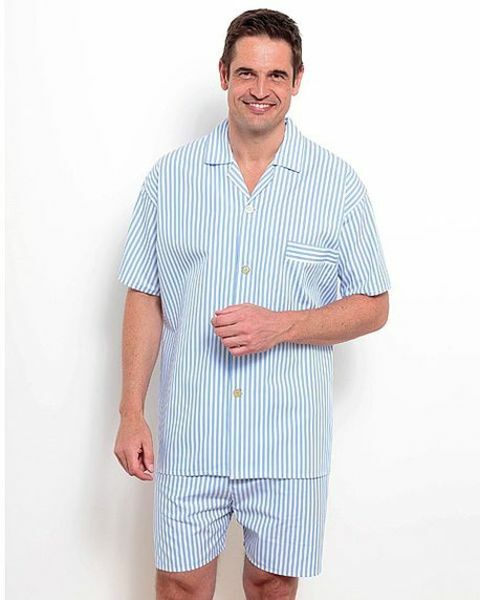 Mens Short Pyjamas. Sizes M-XXL. Machine Washable. Cut From Cool Pure Cotton. Short Sleeve Style With Front Breast Pocket. Elasticated Waist Shorts With Button Fly Fasterning.